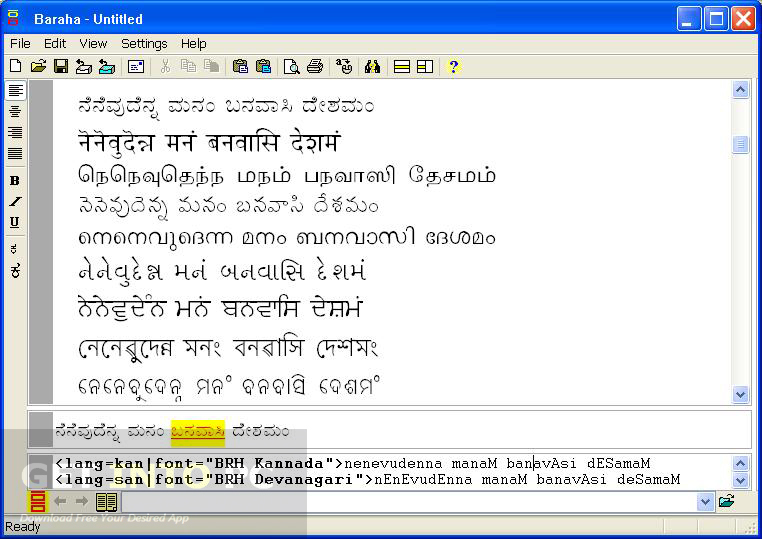 Baraha Indian Language Software Free Download Latest Version for WIndows. It is full offline installer standalone setup of Baraha Indian Language Software. 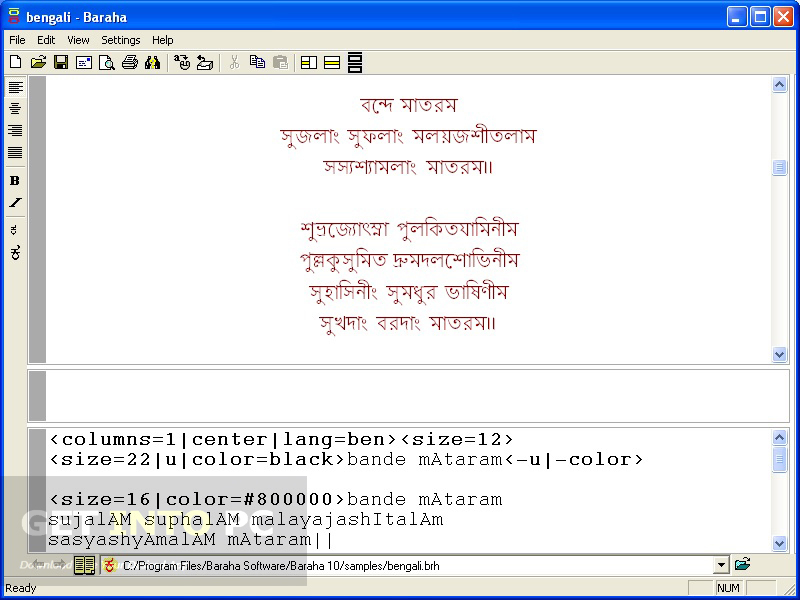 Baraha is a software application that can be used for creating Indian text content. With Baraha you can transform Standard English QWERTY keyboard in such a way that you can write text in Indians language. Baraha has got rich set of tools to help you get started. 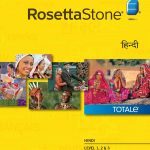 It contains a text editor, Unicode editor as well as a module that can change the layout of keyboard and permits you to translate any language into Hindi or other Indian languages. 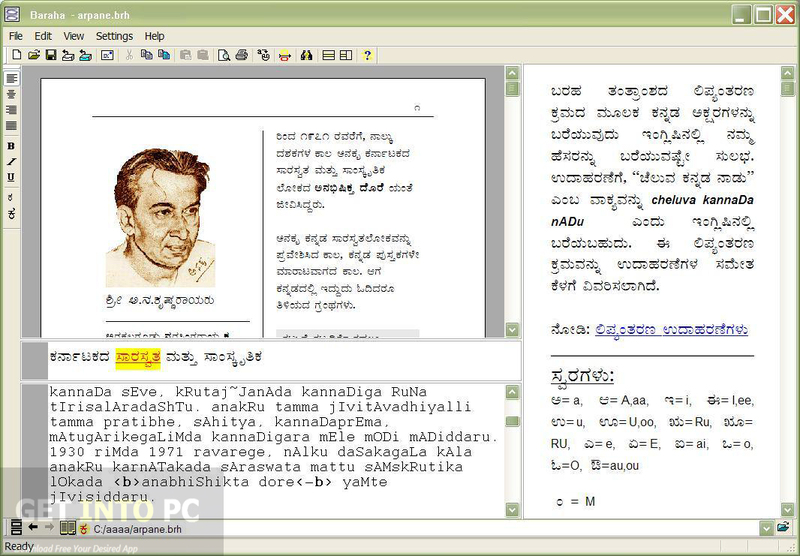 Baraha supports a wide range of Indian languages like Hindi, Kannada, Tamil, Tulu, Marathi, Sanskrit, Gujarati, Punjabi, Oriya, Telugu and Malayalam etc. Baraha can be used for creating documents, spreadsheets, Emails, Websites and blogs in Indian languages. Baraha is compatible with all Office tools like Word, PowerPoint, Excel as well as with PageMaker, CorelDraw and Photoshop. Baraha is also compatible with social networking sites like Facebook and Twitter. Baraha supports almost all Windows versions. Below are some noticeable features which you’ll experience after Baraha Indian Language Software free download. 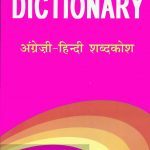 Can create Indian text content easily. Transform Standard English QWERTY keyboard to write Indian text. Contains text editor and unicode editor. 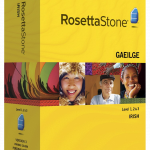 Supports a wide variety of Indian languages. 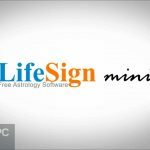 Can create documents, spreadsheets, Emails and Websites. Compatible with MS Word, PowerPoint and Excel. 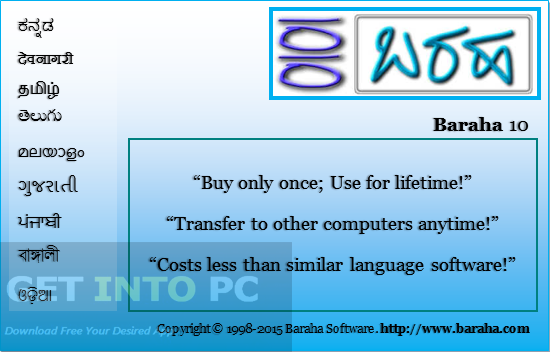 Before you start Baraha Indian Language Software free download, make sure your PC meets minimum system requirements. 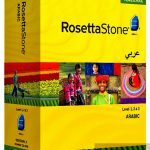 Click on below button to start Baraha Indian Language Software Free Download. This is complete offline installer and standalone setup for Baraha Indian Language Software. This would be compatible with both 32 bit and 64 bit windows.